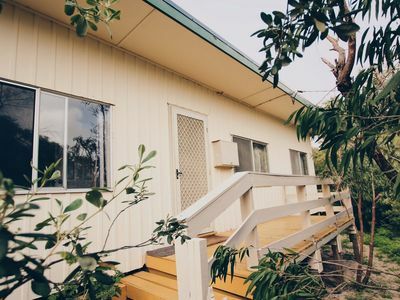 Stayz gives you a great variety of accommodation options for your stay in Myalup Peel, including houses and more. A small town of only 195 full-time inhabitants, Myalup, Western Australia, is one of those places you go to escape city crowds. Much of the land surrounding the village is protected. As such, Myalup remains, for the most part, an unconquered stretch of white sandy beaches and towering dunes, bordered by dense national parks. Relax on the foreshore or swim in the calm waters. 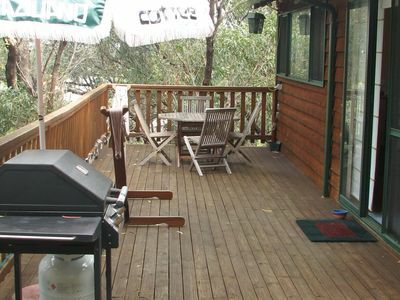 Bushwalk for hours or observe local wildlife, from dolphins to a variety of bird species. Myalup may be far from civilization, but you’ll find heritage buildings, a mosaic trail, and even skydiving possibilities in and around the town centre. 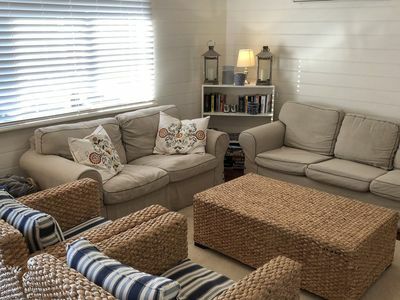 Holiday rentals in Myalup include lakeside cottages, beachfront properties and cabins in the woods. Myalup’s sheltered main beach enjoys calm waters, which are perfect for swimming. For sweeping views of the coastline, climb up the sand dunes. If you look to the south, you will be able to see the Harvey River. Dolphins frolic in the waters close to shore, so the sand dunes double up as natural observation posts! 4WD vehicles are allowed on Myalup’s white sandy beaches. Myalup is known far and wide as a fisherman’s playground. There are are many places to cast a line right off the sand. Fishing season runs from December to April, so you can try your luck at reeling in whiting, bream or tailor. Just north of town, Paradise Beach is popular with fishermen but is only reachable via 4WD. A short drive from Myalup, Yalgorup National Park welcomes bushwalkers and birdwatchers. Wander along the park’s extensive trail network, and keep your eyes peeled for wildlife, including native bird species. There are bushwalks of all difficulties. Stop at one of the clearings for a picnic amidst fuchsia wildflowers, or stroll along one of the lakeside paths with your binoculars at the ready. You might also stumble upon one of the planet’s oldest types of rock formations still around today - stromatolites. Head over to Lake Preston to see a body of water that is saltier than the ocean, with freshwater springs that sprout off it. Another spot for birdwatching, closer to town, is Myalup State Forest. A large, colourful mosaic greets Myalup’s visitors at the entrance of town. Designed by local artist Anthea Ward, it is one of several such pieces spread throughout the Harvey region. To see the other mosaics in the collection, as well as a number of murals, pick up a map at the Harvey Visitors Centre. Myalup may be a small town, but it has a long history. To get a glimpse into the Myalup of yesteryear, visit some of the village’s heritage-listed sites. Historic buildings in Myalup include Pead’s Cottage, built in 1848, and the Stone House Site, a depression era property. It is easy to stay active in Myalup. The town offers tennis courts, which are open to the public. Make sure to book in advance to secure a slot. Meanwhile, golf players have access to several courses, just a few kilometres from town. There are over 10 golf clubs in the Harvey Region. To get your adrenaline pumping, go skydiving right in Myalup. Swoop down from 10,000 feet as you soak up the ocean and hinterland scenery. You’ll even be able to see as far away as Perth. After a few minutes, you will land right next to Myalup’s brewery, where you could proceed to have lunch or a few pints after your freefall! Drive to Myalup from Perth in just 1.5 hours. 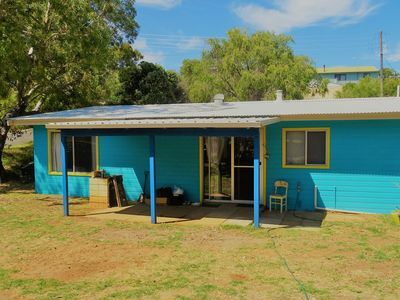 You can also opt for public transport from the state capital, to one of the hinterland towns close to Myalup, but will need to complete your journey by taxi. Public transport may also be infrequent, so be sure to check the schedule in advance.